John Bielenberg thinks wrong. And he's changing the world, one design project at a time. Design Indaba chats to this mastermind about his creative progeny. 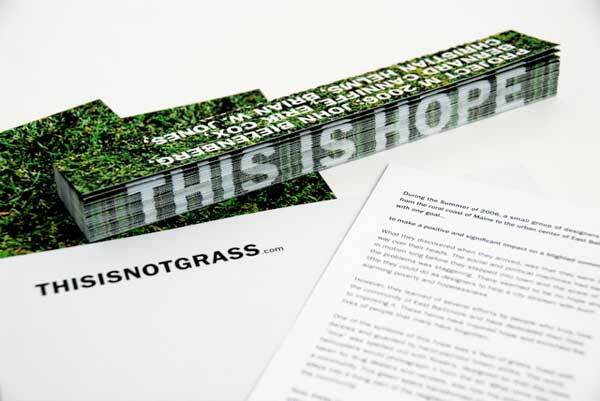 In 2003 John Bielenberg founded Project M, a programme that is built on the premise “Think Wrong” as a means of making the world a better place through design. “In the creative process, designers are victims of their own synaptic connections; subconsciously we’re following predictable pathways to solve problems [whereas] what you would want at the beginning of a design challenge is as many possibilities as you could imagine. ‘Thinking wrong’ is really about breaking those biases and synaptic pathways to generate a lot of potential solutions before you select and execute one,” Bielenberg explains in an interview with Design Indaba in December 2011. Stemming from this theory, Project M facilitates various workshops, sessions and “blitzes” in which participants collaborate to create a sustainable project or service that uses design for the greater good. Within these sessions, Project M advisors encourage and assist participants in eliciting thought processes that deviate from the norm (“thinking wrong”) in order to stimulate original ideas and designs that seriously challenge the status quo. Project M’s early programmes were one-off fundraiser campaigns. 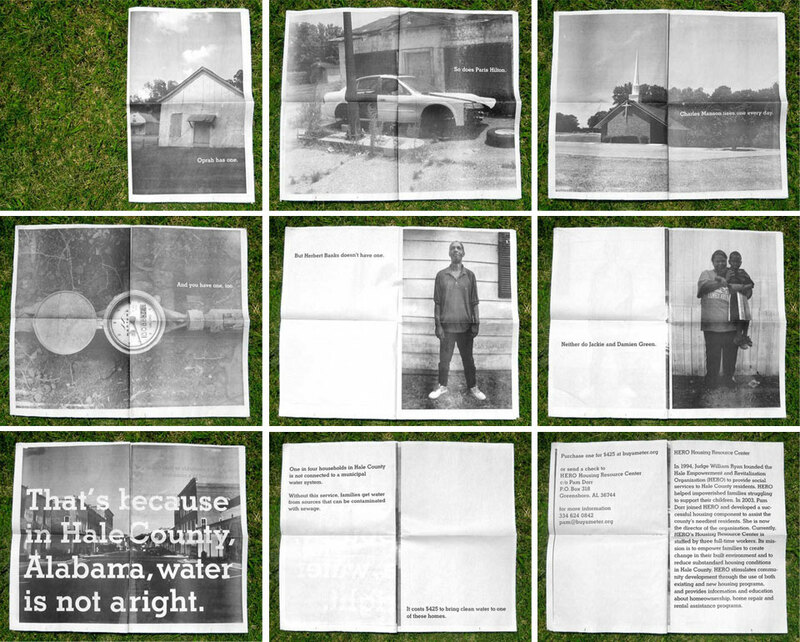 Projects include “This Is Not Grass” – where a group of designers transformed drug-dealer-riddled vacant parking lots in East Baltimore into green liveable spaces for the community to enjoy – and “Buy A Meter”, an awareness campaign in Alabama that secured donations in order to give more people access to clean water (below). Pie Lab is a pie and coffee shop in Greensboro, Alabama – a small town with a racially segregated community. Pie Lab is beautifully designed. It has big tables so that people have to sit together, and its purpose is to incite conversation as a means of connecting the community. The venue also hosts open-mic nights, ballroom dancing, business incubation labs and a host of activities designed to bring the community together, and ultimately Pie Lab has become a buzzing community hub in Greensboro. As Bielenberg explains, this is not the usual way one would address issues of racial segregation, but – as “thinking wrong” has proven time and time again – it actually works. In what Bielenberg calls “a vehicle to consider the relationship between design and capitalism,” Project M provides a platform for creative people already inspired to contribute to the greater good to collaborate and generate ideas and projects bigger than themselves. 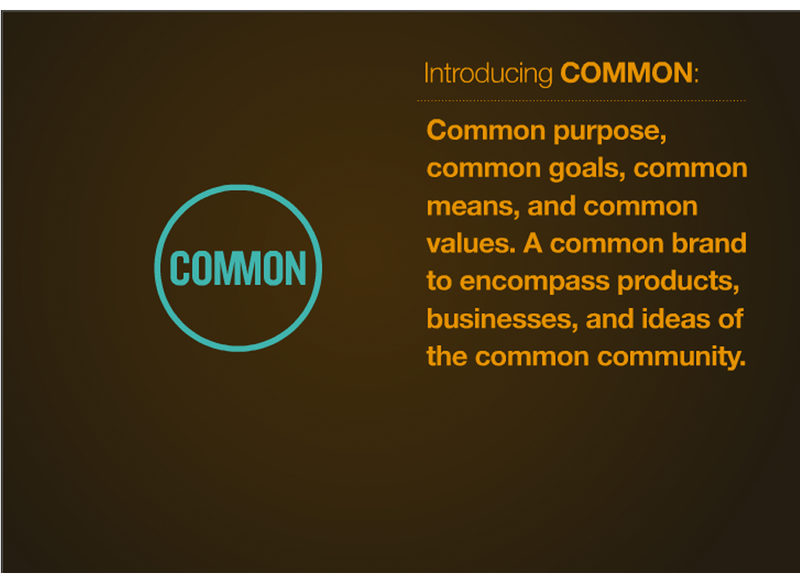 COMMON is described as a creative community for rapidly prototyping social change. "COMMON is all about shining a light on the incredible people using creativity to find new solutions to the world's toughest challenges,” says co-founder Alex Bogusky. After the global success of the inaugural leg of COMMON in the USA in 2011, Design Indaba has partnered with “the party to fix the world” to bring this trailblazing mission to Africa for COMMON Pitch: South Africa. Creative types from around the world are invited to submit their ideas on how to bring about social change and the ten best entries will be invited to pitch their concepts live in Cape Town on Wednesday 29 February 2012, the first day of Design Indaba Conference. The winner will take home $25 000 (R200 000) in prize money. 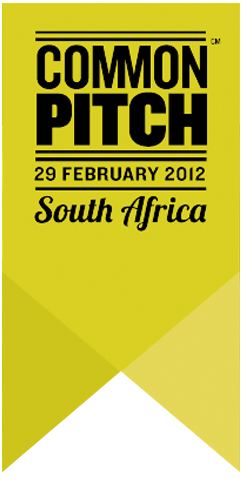 Click here for more information on how to enter COMMON Pitch: South Africa. Most recently, Bielenberg has partnered with long-time collaborator Greg Galle to launch a new firm called FUTURE. "Think of FUTURE as the other half of COMMON. While COMMON is primarily focussed on the social entrepreneur, FUTURE is designed to engage with larger organisations, institutions and companies. Ground up, COMMON, versus a top down, FUTURE, approach to driving positive change for people and the planet," says Galle. John Bielenberg will be speaking at the 2012 Design Indaba Conference from 29 February to 2 March 2012.